John Pollock is joined by guest co-host and former WWE writer Brian Mann to review SmackDown Live from Indianapolis, Indiana. 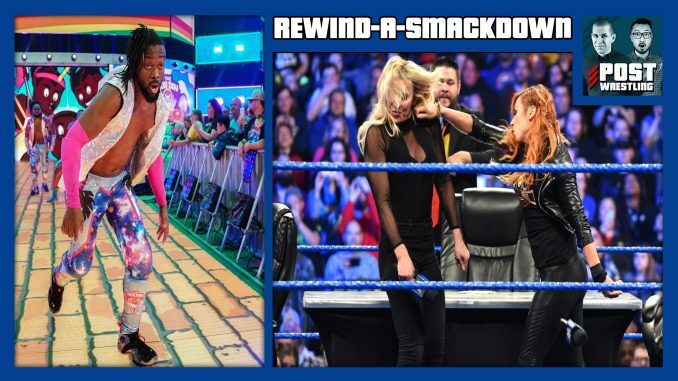 The two review Tuesday’s show with Kofi Kingston running the gauntlet for a chance at the WWE title for WrestleMania, the United States title match for ‘Mania is announced, The Miz responds to Shane McMahon, The IIconics score a win over Bayley and Sasha Banks, a brawl erupts between Becky Lynch & Charlotte Flair on The Kevin Owens Show. NEWS OF THE DAY: The latest on the WrestleMania 35 card, Kurt Angle vs. Baron Corbin, Raw’s viewership from Monday night, Flip Gordon cleared to return & more.